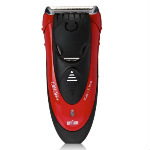 Men who have excess body hair may wish to buy a quality men’s hair shaver and trimmer. 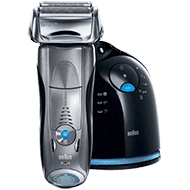 Braun has a trusted name, and the Old Spice Shaver costs under $40. 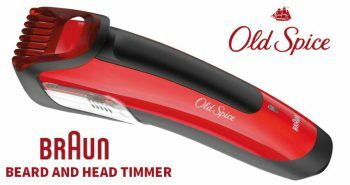 This is a hair trimmer that resembles a short men’s shaver, and comes in a distinctive black and red plastic case that is 100% waterproof. Men may recognize the Old Spice brand name. 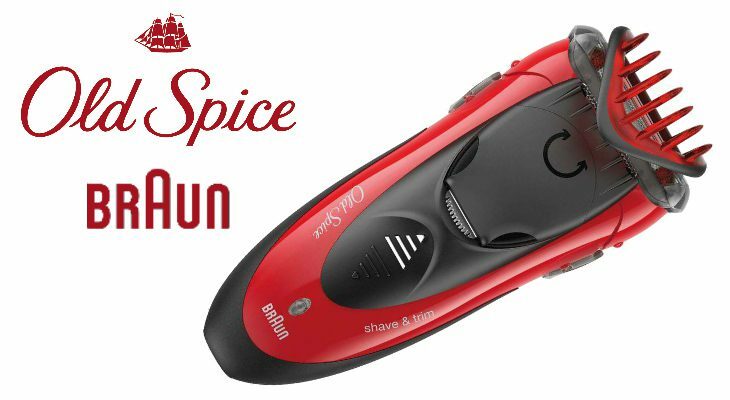 This is a collaboration between the Old Spice brand and Braun. 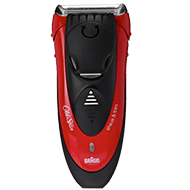 This is a great shaver for men who seek a reliable shaver that will still work one year from purchase, and it will also shave and trim well each time it’s used. 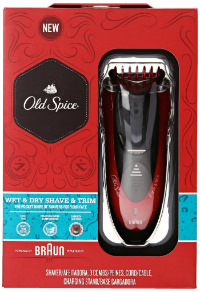 The Old Spice shaver can be used wet or dry. It’ll give a great shave when dry or for on the go, but can provide an even closer and smoother shave when used in the bath or shower, and with the addition of shaving foams, gels, or creams. 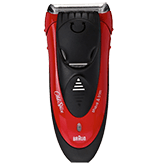 This shaver is an all-in-one men’s personal grooming product, as it can shave, trim, and define with only one tool. 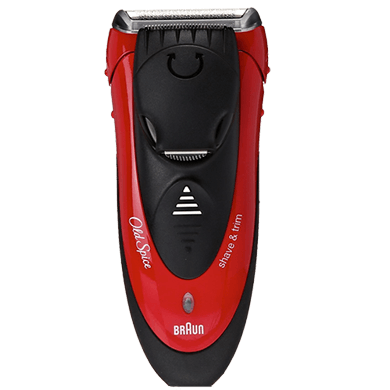 The only thing it can’t do is trim a head of hair, but there is another Braun product to do that too: The Braun Hair Clipper. The foil head of the shaver utilizes optimized SensoFoil technology, which will trim hairs more easily, yet still provide a smooth and pleasant sensation on the skin. This shaver and trimmer is in a compact design, and has been called the pocket knife of shavers for your face. 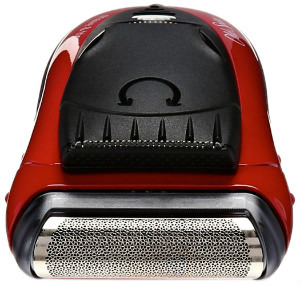 Even though the body is compact, the head of the shaver is still full-sized. You may not wish to keep it in your pocket, but you can certainly tuck it into your briefcase or bag for touchups when you’re away from home. There are attachments that you can use with your Braun shaver and trimmer. There is an adjustable clear plastic beard guard. This gives you four different length options for trimming your beard. 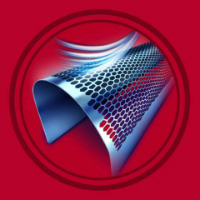 You can choose from 1.2 mm to 6 mm. There is also the three day beard guard which also doubles as a protective cap. This three day guard will trim your beard down to 0.6 mm, leaving that perfect stubble look on your face. There is also the detail guard which trims to 3 mm, which is perfect for trimming eyebrows. The on/off button is located about the middle front of the shaver. 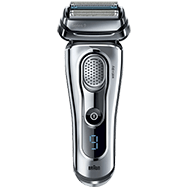 This shaver is foil-style, which is what Braun is known for. Located at the front of the shaver is a pop-up hair trimmer. This can be used to trim around sideburns, eyebrows, and moustache. When done, it can be pushed back into place. 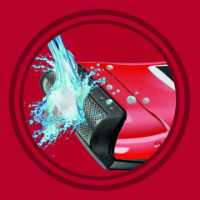 Since the Old Spice Shaver is 100% waterproof, it’s also simple to clean and maintain. Simply rinse it under tap water to get out the shaving products and minute hairs. Braun offers some shaving instructions to get the best shave possible. Ensure that you shave first thing in the morning before you wash your face. Hold your Old Spice Shaver at a 90 degree right angle. 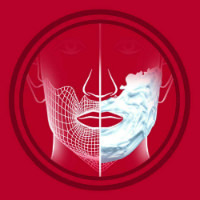 Stretch your skin and shave against the direction of beard growth. If you have not shaved for a few days, used the beard comb to pre-cut the longer hairs, then remove and use the regular part of the foil to finish up. After the Old Spice Shaver has been charged up, it will give you up to thirty minutes of shaving time on this full charge. 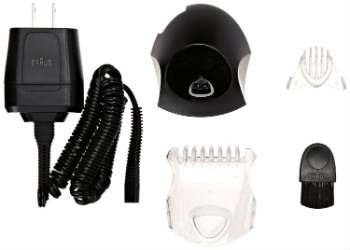 This shaver and trimmer comes with a charging plug, one adjustable beard guard to trim around your beard, a detail guard for those smaller regions around brows, a cleaning brush, a stubble guard/protective cap, and a charging stand. The seller may have a 60 day money back guarantee. There is also a two year limited warranty on this product. The package measures 2.2” x 6.1” x 8.7 inches and weighs a pound. The reviews are favourable for this hair trimmer, about 4.4 stars out of 5. 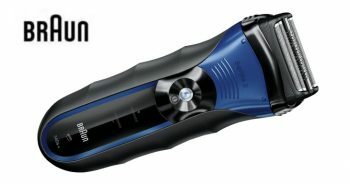 For men who want a multi-purpose grooming tool, Braun has made it affordable to own a two-in-one shaver and trimmer.